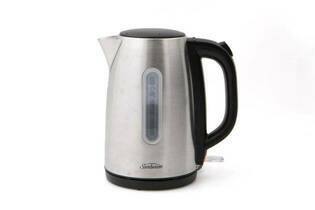 Snapshot: The 1.7L Sunbeam Quantum Stainless Kettle KE6310 has a push-button lid-opening and a stainless steel finish. How noisy is it? Difficult to see water level.